Tap into the power of music at home! There are many ways to utilize music techniques on your own to address personal goals such as decreasing anxiety, stress, and pain, and increasing energy and focus. Your OWN musical collection is a treasure trove of therapeutic material for you to use, as no one person responds to a piece of music in the same way. Consider drawing or writing while listening to a playlist in order to process any feelings, ideas, or thoughts that come up for you. If you are not sure what works for you as far as “relaxing” music, go to iTunes or Amazon.com, type in “relaxation music,” and listen to different samples from various artists. Ask friends or family whom they listen to for relaxation, and ask to borrow music to test it out for yourself. Some popular artists for relaxation include: Chuck Wild’s Liquid Mind series, and Janalea Hoffman’s Musical Acupuncture and Musical Massage CDs. Utilize breathing techniques to decrease tension in the body. A wonderful way to deepen your breath is through toning or singing. Toning is the process of holding one vowel sound through the length of your breath. Try taking a deep breath and saying “Ohm” or “ee” until you run out of breath and repeat over and over for a few minutes. Most people report a sense of deep relaxation and an increased capacity for deep breathing after toning. Sing as much as you like, and all the songs that you like! Sing in the shower, sing in the car, sing wherever you feel free enough to enjoy it. Ignore the mental message that you “can’t sing” and embrace your voice for what it is. Attend performances! Orchestral concerts, rock concerts, concerts offered by local churches or community organizations — anything that moves you. Scan your local papers, as there is often a plethora of free or low-cost musical options available in many communities. Or watch/listen to live streaming concerts online or YouTube clips of your favorite performers. Play an instrument! Did you play an instrument many years ago? Pick it up and play it again — being certain to not pass judgment of how different you may sound after not playing for an extended amount of time, but instead focusing on how it feels to play now. Have you always wanted to play, but have never tried? 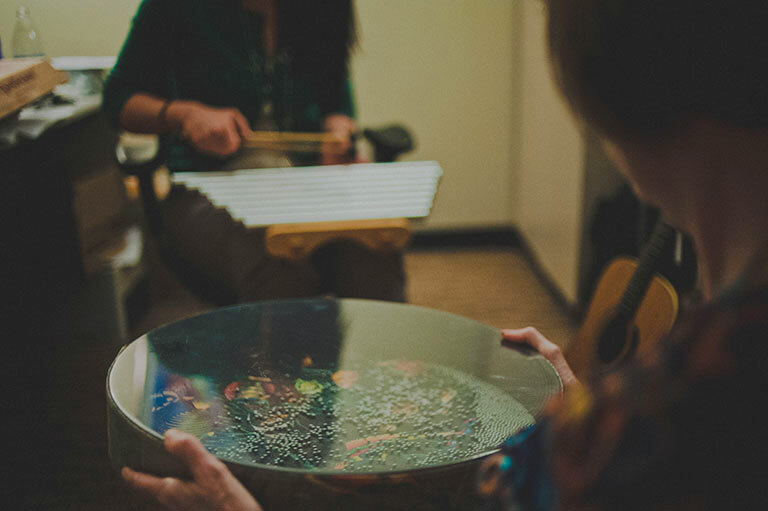 Pick an instrument you like and take lessons through a music studio, or try a local university, which may have students eager to gain teaching experience. 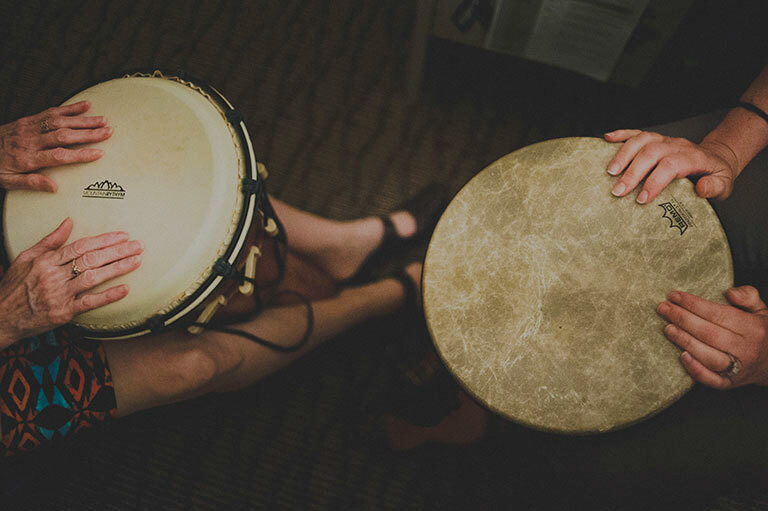 Consider attending interactive musical experiences such as drum circles, toning/chanting circles, or dance groups with live music.